We’re adding new cheap furniture deals at American Freight for every room in your home! Today’s Featured Friday highlights one of our recent additions to dining room furniture: The Dunmore 5 piece Dining Set. 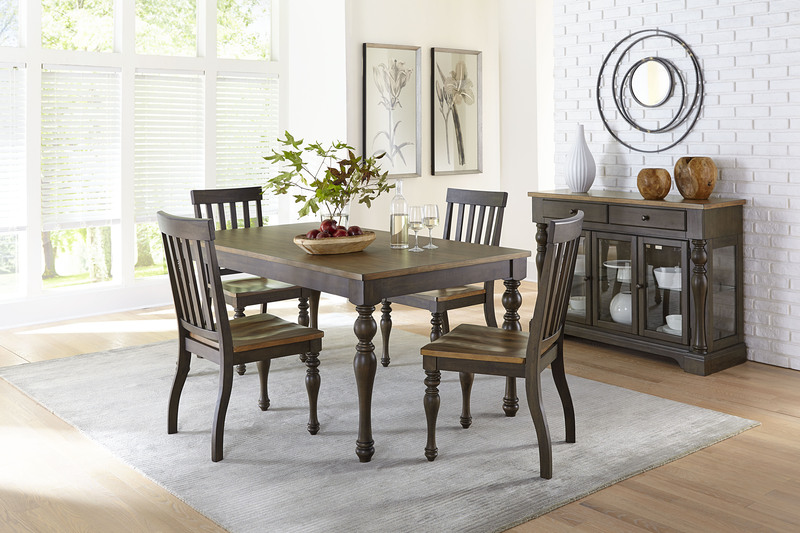 Sturdy, classic, and handsome, this wooden table and chairs is inviting for everyone to gather around the table. The Dunmore sets the scene for a gorgeous meal with family and friends, or a comfortable place to enjoy a frozen pizza. It’s charming and casual, with an old-timey flare that allows you to dress it up for holidays and guests. This dinette set is also available as a 7 piece set with 6 chairs and a dining table for only $798. The matching sideboard (pictured below) is available separately for just $598. 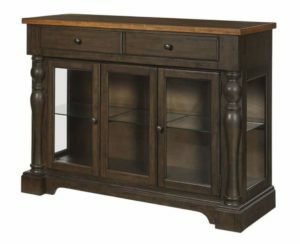 Its two-tone finish matches the Dunmore table set, and makes a gorgeous storage and display case. Click here for all our new products. Previous PostNew Products | Tuesday Teaser: Yay for Gray! May I ask how much the Dunmore 7 piece set is to include fully assembled and deliver to zip code 37924 ? Thank you very much.